Victorian era is famous for its achievements in almost all spheres of life art, literature, poetry, music and so on. The period from 1837 to 1901 is of enormous importance in the history of Europe. To see the contribution of the Victorian epoch to the field of music will be interesting. Music was not ignored in an era of flourishing art and literature. However, professional music as such did not emerge and people only had limited methods of reproducing sounds using handy materials. It was in the early Victorian era i.e. in the 1830s that music entertainment is saloons flourished. The origin of music hall of Victorian England may be traced back to the older saloons where all types of entertainment were provided. The saloon was a room characterized by performances like singing, dancing, acting etc. Comedies, plays and dramas took place in these saloons. Saloons also offered drinks. Admission to these demanded high fees. By the mid 19th century, music halls began to be built in London. This period also witnessed the emergence of professional songwriters. The musical form in these musical halls originates from the traditional folk song. In the 1850s, songs and piano pieces also began to be purchased on a large scale. The comic operas of Gilbert and Sullivan were largely popular during those days. The association between religion and music also needs to be mentioned. Attracting the crowd was the function of the music hall. Golden Slippers and The Old Folks at Home written by Stephen Foster were the favorites of people. Charles Edward Horn, variously a singer, bass player, and composer, originally made a big hit with the song Cherry Ripe in the comic opera Paul Pry, a pasticcio of pieces by various composers. Thomas Moore also composed a few good pieces. 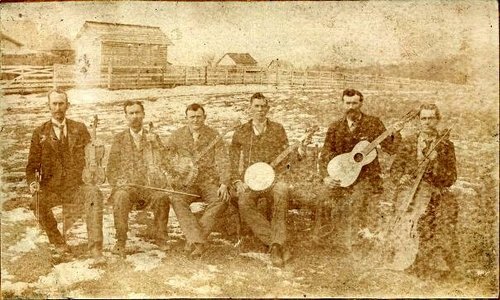 Prior to the 1850s, traditional folk songs were enjoyed and cherished by the people of Victorian England. Music was essentially contemporary and humorous in nature. A sense of simplicity could be found. 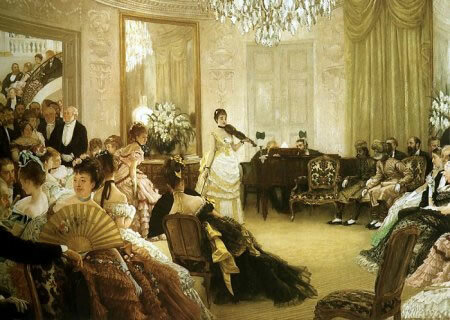 Victorian music was moving away from old norms and patterns at around the 1850s. In the later period, house orchestras became complex and sophisticated pianos made their appearance in the market. Women who were once prohibited from playing musical instruments or performing in the public were now given freedom to do so. Music also had a widening social access in Victorian England. The term “glee,” was a song for three or four unaccompanied solo voices that demanded considerable skill despite having limited contrapuntal activity. It became a major component of English opera in the later years. Church musicians mostly composed glees.